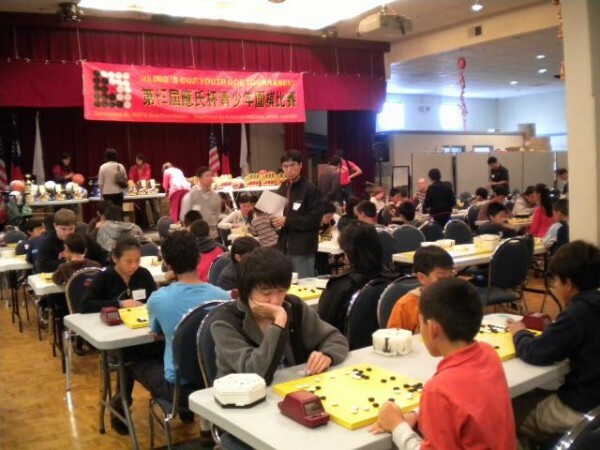 The 14th annual Ing’s Youth Cup Goe tournament will be held October 23rd, at the Chinese Cultural Center, in Sunnyvale California. The popular tourney is organized by Mingjiu Jiang 7p, and sponsored by the Ing Foundation. Last year’s event drew over 100 youth, who enjoyed prizes and trophies in ten different bands, sorted by rank. There is also a 13×13 tournament for newer players. Registration is $35, including lunch, but goes up by $10 if you register after October 10th. For more information, and to register, go to Gomasters.com. -Paul Barchilon, E-J Youth Editor. Photo: Last year’s tourney, from the Go Masters site.